Back-end needle and Luer permanently attached to the holder to assure compliance with OSHA directives. 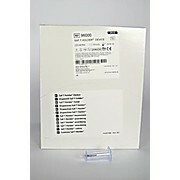 Provide safe needleless transfer after a syringe draw. Available separately or with Saf-T Wing® Blood Collection Sets.